In June 2004, the US Navy selected the Boeing multi-mission maritime aircraft (MMA) as the next-generation maritime surveillance aircraft. The P-8A Poseidon aircraft will replace the US Navy P-3C Orion maritime patrol aircraft. The P-8A MMA design is based on the fuselage of the 737-800 and wings of the 737-900. Boeing constructed a 737 BBJ2 (Boeing Business Jet) technology demonstrator aircraft to demonstrate the aircraft and on-board systems capabilities. The contract award covers the manufacture of five trials aircraft over eight years. The 737-900 style wings are built with hardpoints for carrying air-to-surface missiles. The aircraft can cruise at high-altitude at nearly 926km/h and loiter at a speed of 333km/h over the sea at a low altitude of 60m. The P-8A MMA is equipped with the AN/APY-10 maritime surveillance radar and signal intelligence SIGINT system from Raytheon. In June 2004, the US Navy announced the selection of the Boeing multi-mission maritime aircraft, 737 MMA, and awarded a contract to Boeing for the system development and demonstration phase of the programme for the US Navy’s next-generation maritime surveillance aircraft. The aircraft was given the designation P-8A in March 2005. It is expected that up to 117 P-8A MMA aircraft are to be purchased by the Navy to replace the fleet of 196 P-3C Orion maritime patrol aircraft, which are approaching the end of their operational lives. The initial operational capability (IOC) of P-8A was achieved in November 2013. The US Navy started a two-year requirement study in 1997 for the replacement of the Navy’s P-3C Orion, and the Defense Acquisition Board initiated a number of concept studies between 2000 and 2002. An assessment of the proposals by the USN led to contracts being placed with Boeing and Lockheed Martin in 2002 for the component advanced development phase. The Australian Government announced the acquisition of eight P-8A Poseidon maritime surveillance aircraft for the Royal Australian Air Force (RAAF) in February 2014 for $4bn, with an option for four additional aircraft. The new RAAF aircraft performed a four-hour flight in the vicinity of the naval air station in April 2015. Delivery of the first P-8A took place in November 2016 and all aircraft will achieve full operational capability in 2021. The RAAF P-8A achieved IOC in March 2018. With the ever-increasing utility of unmanned systems, why is the US Navy still investing billions in a manned aircraft? Boeing submitted proposals based on the 737-700 aircraft and Lockheed Martin’s proposal was based on the Orion 21, a new version of the P3. The industrial team led by Boeing includes Raytheon, Northrop Grumman, Smiths Industries, CFM International, GE Aviation and Spirit AeroSystems. Boeing built a 737 BBJ2 (Boeing Business Jet) technology demonstrator aircraft to demonstrate the aircraft and onboard systems capabilities. Two functional mission system consoles were installed on the aircraft. In December 2003, the aircraft completed a tour of US Navy bases and naval air stations in Brunswick, Maine, Jacksonville, Florida, Norfolk, Virginia, Kaneohe, Hawaii and Whidbey Island, Washington. The demonstrations included maximum power take-off and climb to 12,500m (41,000ft), manual reversion manoeuvres with no hydraulics, maximum rate of descent at more than 3,050m/min (10,000ft/min), tactical manoeuvres at an altitude of 200ft, simulated single-engine manoeuvres and performance landing achieving a stopping distance of less than 610m (2,000ft). The selection of the Boeing 737 MMA was announced in July 2004 with the contract award covering the manufacture of five trial aircraft during the next eight years. One aircraft each has been allocated for airworthiness, static and fatigue tests, and two aircraft for testing the mission systems. The preliminary design review (PDR) was successfully completed in November 2005. The critical design review was completed in July 2007. Boeing began production of the first of five test aircraft in December 2007. The first flight of the P-8A test aircraft T1 was completed in April 2009. The first mission systems test flight of the T2 was successfully completed in June 2010. The test aircraft T3 completed its first flight test in July 2010. Full-scale static testing on the airframe of the first ground-test vehicle S1 was completed in January 2011. The fatigue tests on S2, the second ground-test vehicle, began in late 2011. The first P-8A production aircraft completed its maiden flight in July 2011. The aircraft design is based on the proven fuselage of the 737-800 and the wings of the 737-900. The P-8A aircraft has increased gross weight capability in comparison with the 737-800. In June 2005, Boeing announced that the design of the P-8A’s wingtips has been changed from the blended winglet to a backswept wingtip. In June 2006, Stork Aerospace of the Netherlands was awarded the contract for manufacturing the backswept (or raked) wingtips. The internal weapons bay is installed beneath the forward section of the fuselage. The 737-900-style wings are built with hardpoints for carrying air-to-surface missiles. The 737 MMA is assembled at the Boeing production facility in Renton, Washington, US. The 737’s fuselage and tail sections are built by Spirit AeroSystems in Wichita, Kansas, before being transferred to Renton, where all the unique 737 MMA aircraft structural features are incorporated in sequence during fabrication and assembly. The quality and performance acceptance flight testing of the aircraft was conducted from Renton Field and final installations and checkout of the mission system and special flight test instrumentation was conducted at the Boeing Field. The aircraft was then ferried to naval air station at Patuxent River, Maryland, for a flight test. The flight management system and the stores management system were developed by Smiths Aerospace. The Smiths Aerospace flight management system is based on an integrated open architecture and will be compatible with the installation of future upgrade systems. The cabin is fitted with up to seven operator consoles. In March 2008, Boeing selected L-3 Communications Wescam to supply the MX-20HD digital electro-optical and infrared (EO/IR) multispectral sensor turrets for the P-8A Poseidon. MX-20HD is gyro-stabilised and can have up to seven sensors, including infrared, CCDTV, image intensifier, laser rangefinder and laser illuminator. The aircraft is equipped with the upgraded APS-137D (V) 5 maritime surveillance radar and signal intelligence SIGINT system developed by Raytheon. The system was re-designated AN/APY-10 in June 2006. The AN/APY-10 radar is installed on the enlarged nose fairing. The AN/APY-10 radar provides the synthetic aperture radar (SAR) mode capability for imaging, detection, classification and identification of stationary ships and small vessels and for coastal and overland surveillance, as well as the high-resolution imaging synthetic aperture radar (ISAR) mode for imaging, detection, classification and tracking of surfaced submarines and small, fast-moving vessels that operate in coastal waters. The SAR provides multiple-resolution strip map and spot SAR operation, and allows high-resolution for target identification, battle damage assessment and weapons targeting. Periscope detection uses high-scan speeds, high-pulse repetition frequency and high-resolution mode with advanced sea clutter rejection. Raytheon is offering the new global positioning system with anti-jam, integrated friend or foe and towed decoy self-protection suites, along with a broadcast information system (BIS) and secure UHF satellite communications. The P-8A is also fitted with the CAE advanced integrated magnetic anomaly detection (MAD) system. The aircraft carries a rotary sonobuoy launcher with pneumatic ejection, being developed by EDO Corporation. The data links are being developed by Northrop Grumman Information Technology Division in Herndon, Virginia. The integral bomb bay can carry free-fall bombs, Raytheon Mark 54 torpedoes and depth charges. Air-to-surface missiles are installed on the underwing hardpoints. The US Navy armed the P-8A with a development of the MK 54 torpedo that can be fired from high-altitude. The first MK 54 torpedo was successfully test fired by the P-8A Poseidon in October 2011. Northrop Grumman is supplying the electronic warfare self-protection (EWSP) suite which includes a Terma AN/ALQ-213(V) electronic warfare management system (EWMS), a Northrop Grumman directional infrared countermeasures (DIRCM) set, a Northrop Grumman radar warning system and a BAE Systems countermeasures dispenser system. The aircraft can cruise at high altitude at nearly 926km/h (500kt) and loiter at a speed of 333km/h (180kt) over the sea at 60m. The aircraft has two CFM International CFM56-7B27A high-bypass turbofan engines, each rated at 120kN. The same model CFM56-7 engines power the Boeing 737 airborne early warning and control (AEW&C) aircraft, in production for Australia and Turkey, and the US Navy’s C-40 Clipper transport. The engine has logged more than 30 million flight hours and maintains a proven high-reliability figure of merit of 0.003% in-flight shut down rate for every 1,000 hours of flight. Additional fuel tanks are installed in the aft baggage hold, providing a total maximum fuel capacity of 34,096kg. In July 2007, the Australian Government was given ‘first pass approval’ to participate in the cooperative development of the P-8A Poseidon. The P-8A would replace the RAAF’s fleet of AP-3C Orion aircraft. A memorandum of understanding (MoU) was signed for production and development of the aircraft in March 2012. In January 2009, India placed an order for eight P-8I long-range maritime reconnaissance and anti-submarine warfare aircraft. The P-8I is a variant of the P-8A Poseidon that was custom built for India. Boeing opened a new production facility at Seattle in November 2010 to support the manufacturing of the P-8A and P-8I. The production of the P-8I began in December 2010. Deliveries to Indian Navy began in December 2012 and were concluded by October 2015. In January 2011, the US Navy placed a $1.6bn low-rate initial production (LRIP) contract for six P-8A aircraft. The contract also includes provision of spare parts, logistics and training devices. Boeing was awarded a $1.7bn LRIP contract for seven aircraft in November 2011. A $1.9bn contract for 11 P-8As was placed by the US Navy in September 2012. The first aircraft was delivered to the US Navy in March 2012. Boeing delivered six P-8A aircraft by January 2013. The US Navy received 14 P-8A aircraft by July 2014 and the 18th P-8A Poseidon in October 2014. In February 2014, Boeing received a $2.4bn contract from the US Navy for the delivery of 16 P-8A Poseidon aircraft. CAE was awarded a contract by Boeing to supply simulator hardware for six additional P-8A Poseidon operational flight trainers (OFTs) and five additional P-8A Aircraft equipment Desktop Environment (AeDTEs) trainers for the US Navy, in March 2014. Boeing delivered a total of 21 P-8A Poseidon aircraft to the US Navy as of January 2015. In June 2015, Raytheon received a $153m contract to supply 53 additional radars for the P-8A aircraft. Boeing was awarded a $1.49bn contract by the US Navy for 13 P-8A aircraft in August 2015. In January 2016, Boeing received a $2.5bn contract from the US Navy to deliver 16 P-8A aircraft for the US Navy and four aircraft for the RAAF..
Boeing handed over 33 Poseidons to the US Navy as of January 2016. Norway placed an order worth approximately Nkr10bn ($1.17bn) for five P-8A Poseidon aircraft in March 2017. The deliveries of the aircraft are expected to take place between 2022 and 2023. Defense Acquisition Program Administration (DAPA) of South Korea announced its decision to acquire P-8 Poseidon maritime patrol aircraft for $1.8bn through the foreign military sales (FMS) programme in June 2018. The P-3 Orion land-based maritime patrol and anti-submarine warfare aircraft is operational in the airforces of ten countries. More than 700 P-3 aircraft have been built by Lockheed Martin. The C-20G Gulfstream IV is an all-weather, long-range, high speed aircraft developed by Gulfstream Aerospace Corporation (GAC) for the US Navy. 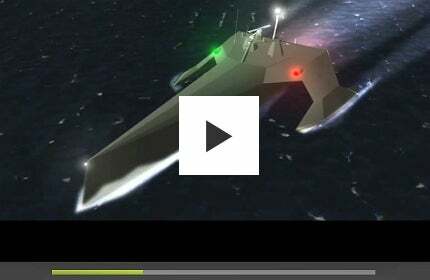 Science Applications International Corporation (SAIC) has unveiled its vision for a DARPA-sponsored programme to develop an unmanned vessel for long-duration tracking of even the quietest enemy submarines. Read more here.